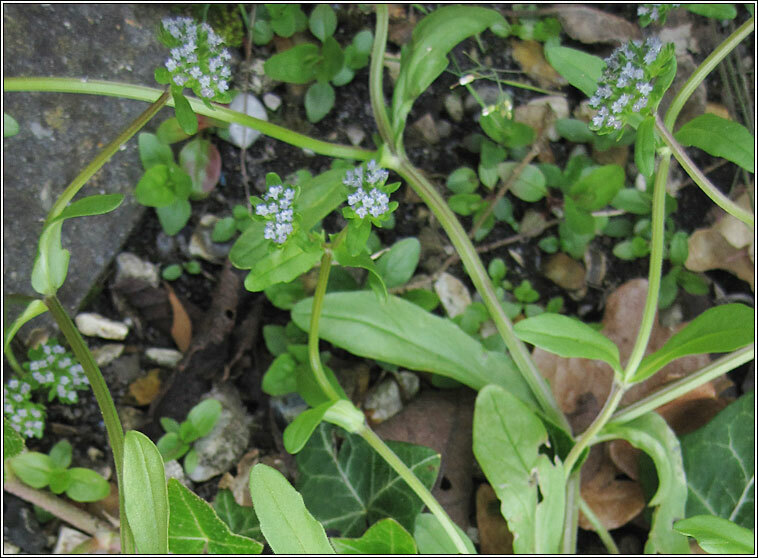 Habitat: Frequent and sometimes locally abundant on dry, disturbed ground; walls, pavements, gardens and wasteground. 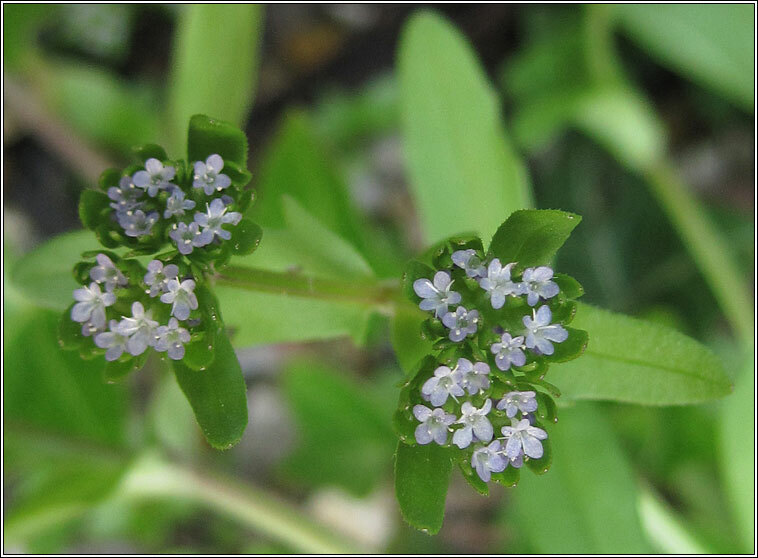 Clusters of tiny bluish-white flowers with 3 stamens and stigmas but without a calyx. The oblong fruit are longer than wide, with deep wide groove on one side. 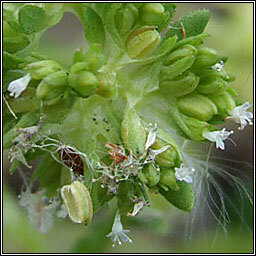 A slightly hairy or hairless plant with un-divided leaves on branched stems.